When was the last time you did something exciting that really got your adrenaline pumping? Unless you’re an extreme sports freak, the answer is most likely a while ago. The good news is that you don’t have to be on holiday to engage in it. 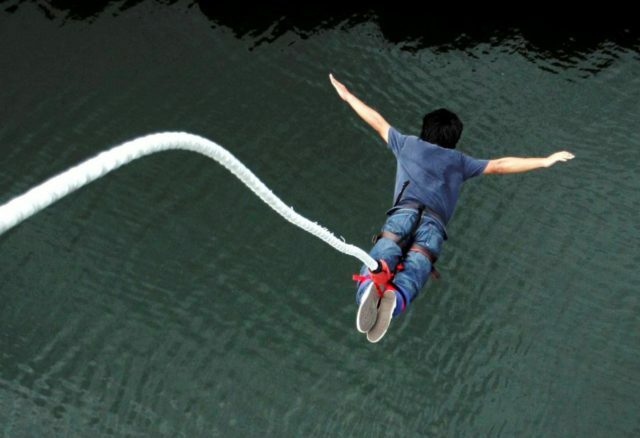 There are numerous extreme sports in KL that you can try out — even bungee jumping. There’s much to do out there to really get your blood pumping, from ATV rides towards the streams to flying above the water in a lake. It’s good, old-fashioned fun that’s going to release your endorphins and genuinely make for a good story once the weekend is over. So instead of binge-watching yet another series on Netflix, check out these extreme sporting activities in KL. 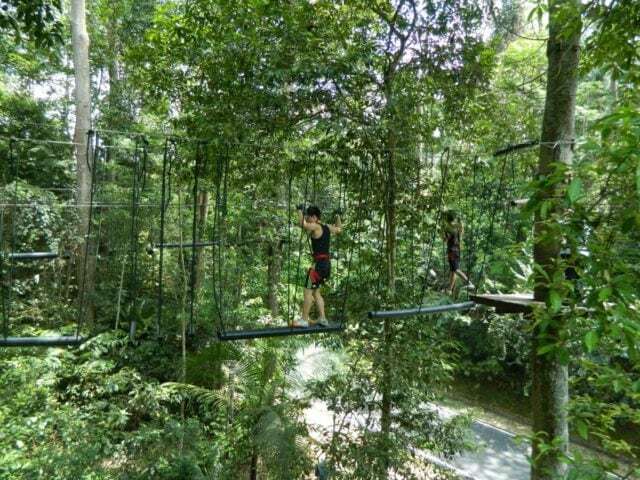 The closest Skytrex to us in the Klang Valley — Shah Alam — is currently closed for upgrading works but you can always check them out in Langkawi and Melaka in the meantime. To give you a crash course, Skytrex is like a playground for both kids and adults. Within the forest are multiple obstacle courses laid out up in the trees in different levels from beginner to advanced. Players will go through climbing, flying foxes, zip lining, and more. It’s a fight to finish the course in record time with your friends, but all in good fun. This takes a bit of mastery, but once you get the hang of it you’ll be walking on water — or rather, flying. Imagine having a pair of jet rockets spewing out of your feet — that’s essentially flyboarding, except instead of rocket fuel, the device spews out water. You can try this out with Flyboard Malaysia, which takes place in the Putrajaya Lake. Players get to try this extremely fun activity, trying to see who can “fly” the longest and highest. The highest one can go is up to 15-metres, according to Flyboard Malaysia. Needless to say, bring a spare change of clothes because you will get wet. Price: RM370 per person for an hour’s session. Surprise, surprise. You don’t have to fly out to New Zealand just to get a taste of bungee jumping. Of course, they have the views, but if you want to experience jumping off a vantage point, you can also do it in Sunway Lagoon’s Extreme Park. You jump off a platform that is 22-metres high, and the length of the bungee cord is 5.5-metres long. If we were to liken it to a building, it would almost be as though you’re jumping off a nine-storey building. 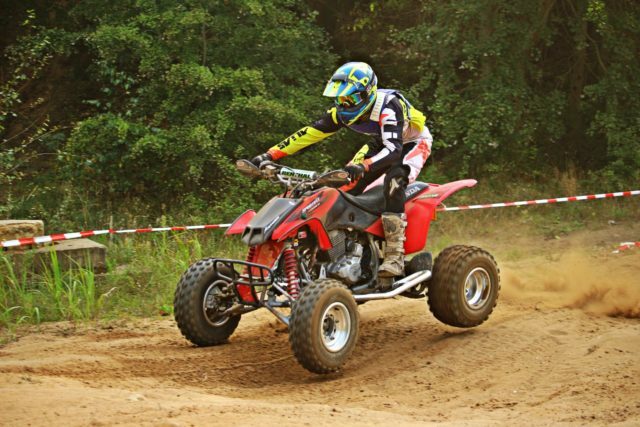 An All Terrain Vehicle (ATV) is like a go-kart, except that it’s jacked up and you don’t want to break speed records on it. With ATV Adventure Park, you can head out into Kg. Kemensah in Hulu Kelang, which is just within Selangor and take a ride through the jungles and towards the river. The park is currently the largest of its kind in Malaysia with plenty of different terrains to explore. Things might get a little muddy and scary once you get to the edge of the hill, but that’s where the fun is all at, isn’t it? If you have skied before, you will know that it’s a test of balance. Putrajaya Waterski School offers both waterskiing and wakeboarding experiences. It’s a lot harder when you’re doing it on the water, pulled by a speedboat. But it’s exhilarating all the same, making you work harder on your core and balance until you are able to ski on the water for as long as possible. Once you’ve mastered that, you can go on to performing fancy tricks on the waterski. This also takes place in the Putrajaya lake.